As soon as I get these flies made for the farmer’s market, I will be back to writing regular blog posts. It is not like I have Fly patterns to go by though. I am trying to create them in the likeness of the service ribbons they represent. There is no service ribbon for active duty or veterans that develop PTSD while in combat. For those that receive a Purple Heart, their injury is immediately recognized; but mental injury may take years to surface. My PTSD was noticeable in my last year of active duty but nothing was done about it except discharging me with honorable but with “unable to perform ” noted so that I couldn’t re-enlist. I was denied service related disability for 20 years while things worsened. Finally when I was approved for 40% I had developed other Dissociative disorders related to the PTSD. I was never able to keep a job for more than 6 months to a year but I always found one. I may not have been the family man mentally, but I was not lazy. I found work and I supported them. Two years ago I was hospitalized for 45 days. (Residentially, not inpatient) I was free to leave at any time but I needed the help or I would have definitely committed suicide. After that stay, I was declared fully disabled; both through the VA and now through SSDI. There are so many forms of therapy that work for people with disabilities. The experience I have found with PHWFF is what is proving to be what works the best for me. That is why I want to raise money and awareness for them with my writing, fly tying and whatever else I can do. Sure, I am done working at age 46 and using fly fishing as therapy; how can that not work? It would be nice if it were that easy. I am stuck on the couch 90% of the time wishing I could be fishing. That’s why I write, tie flies, build rods, etc. My Dissociative Amnesia has made driving any sort of distance safely, nearly impossible. I jokingly asked my wife if I she’d trust me to get a motorcycle. She replied that she doesn’t trust that I’m safe on a recliner! 😳 I used to ride, but my mind gets worse daily it seems. The thought of getting on a bike terrifies me. So to all you American people who support troops and veterans, as I know you do (before I write a book) all I ask is to maybe purchase a fly from me. Or at least share my posts so that someone who is interested in flies can do so. 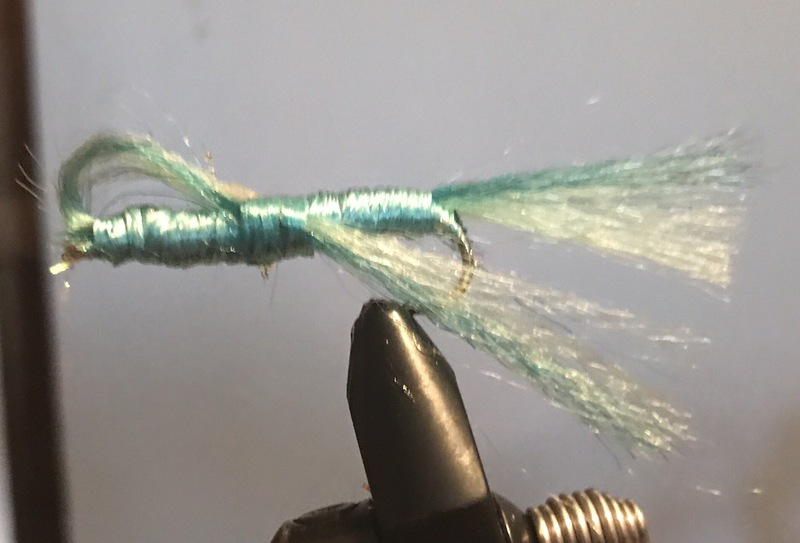 My profit on a fly after supplies and shipping is about $3.00 and that whole amount goes to Project Healing Waters. In the future I want to support other charities as well, but I am starting here. I am one guy working from home. 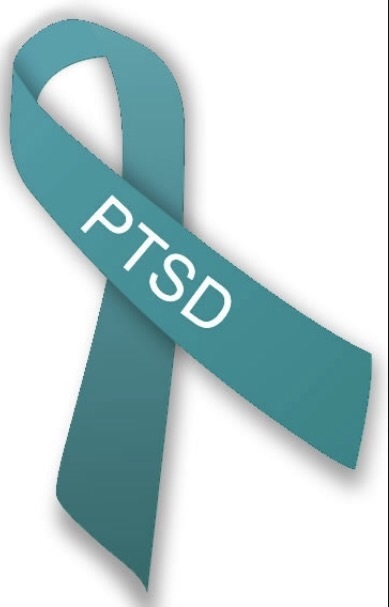 As far as there not being a service ribbon for PTSD, there is an awareness ribbon for it. I created the fly below this morning to represent.